Come celebrate the 10th Family Farm Fest Aug. 6 at the Church of the Holy Nativity. This is a free event to benefit Heifer International. There will be live animals, an organic farmers market, crafts, games and music by Claremont Band. For more information, call 630-774-3902. Sign your child up for a fun skills boosting week to prepare them for Kindergarten. Camp Learn-A lot reinforces social relationships through engaging and fun camp activities. The camp runs Aug. 15–19 from 9am–12pm with a healthy snack provided each day. Camp is at Bethel Early Learning Center, 36 N. Grant St. in Westmont. The cost is $110 for the week with a class maximum of 20 children with two teachers. 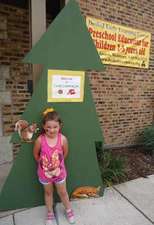 Call or email Lisa Graziano at 630-963-3232 or bethelearlylearningcenter@yahoo.com today to reserve your child’s spot at Camp Learn-A-Lot! Being independent and safe is important. Friends for Downers Grove Township Senior Citizens brings awareness to the needs of seniors in the community and provides resources to help them to thrive in their own homes. Find out how you can help by calling 630-719-6689. Westmont Street Fair and Crusin’ Nights takes place every Thursday night in August from 5–9pm. Come downtown to see classic cars and enjoy live music, raffles, theme nights, kid’s activities and more. The Downers Grove Fine Arts Festival will be celebrating 40 years this fall. The festival is held in the middle of award winning, historic, Downtown Downers Grove, Sept. 10 & 11 from 10am–5pm. The festival will be held in the middle of Main Street. Live music, boutiques, cafes and a children’s art area will complement the high caliber of art that will be present at the show. Come to the Morton Arboretum Aug. 26, 6:30–8:30pm for an outdoor dinner. You’ll be surrounded by natural beauty as you enjoy a one-of-a-kind meal featuring fresh, local ingredients expertly prepared and served under the White Pine Pavilion. The dinner costs $80 for members and $90 for nonmembers. Join the Morton Arboretum for a night of delicious, farm-fresh food and enjoy live music from Ask Your Folks on an enchanted summer evening. Be part of an annual autumn event that celebrates the community’s heritage. Naper Settlement will host an Oktoberfest Fri., Sept. 30 from 5–10pm and Sat., Oct. 1 from 12–10pm. Under a large heated tent, enjoy live musical entertainment ranging from classic German oompa music to classic rock, along with German beer and cuisine. Family-friendly activities will be available on Saturday from 12–5pm. Join Pulitzer award-winning author Elizabeth Strout for a discussion about literature, reading and her recent book, My Name is Lucy Barton, released in early 2016. The conversation takes place Sept. 24 from 10am–12pm at Ashton Place in Willowbrook. Strout is the author of popular titles Olive Kitteridge and Amy & Isabelle. The author visit will be a moderated discussion with Rebecca Vnuk, a Q&A with the audience and a book signing. Westmont Public Library is one of 11 area libraries co-hosting this event. 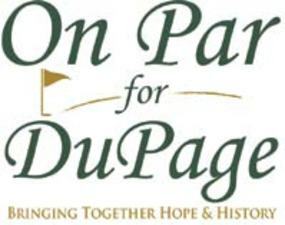 Join People’s Resource Center and the DuPage County Historical Museum for the 4th Annual On Par for DuPage, an Oktoberfest-themed golf outing benefiting People’s Resource Center and the DuPage County Historical Museum. The outing will be Thurs., Sept. 29 at the Arrowhead Golf Club in Wheaton and will feature 18 holes of golf with cart, lunch, on course craft beer tasting, access to all golf contests and gimmicks plus an authentic German buffet dinner with silent auction and raffle. To register, go to peoplesrc.org/onpar2016 or dupagemuseum.org.